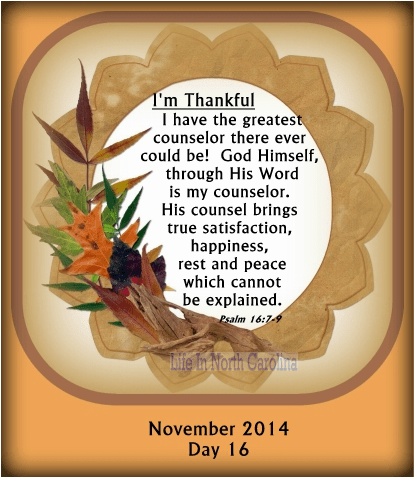 There is no earthly counselor who can compare to the counsel I receive from my Lord and Savior. He is the greatest counselor ever and is always there. All I have to do is open the Word of God and I will find sweet counsel from Him. We are blessed if do not walk in the counsel of the ungodly; only the Lord knows the way of the godly man. (Ps.1) Wow! my own personal counselor on a day to day basis. He can be yours too.